In possibly their most unusual collaboration to date, Mac has joined forces with one of the most famous conceptual artists of the last century, Cindy Sherman. With previous collections being fronted by Lady Gaga, drag queen RuPaul and even Elton John it has always been clear that Macs approach to makeup is about it’s ability to allow you to look different, unique and transformed as opposed to bog standard pretty. Aesthetics and transformation have long since been at the forefront of photographer and filmmaker Cindy Sherman’s work. Sherman, now in her late fifties, is most famously known for donning a variety of different disguises, sometimes funny, sometimes shocking, for her conceptual self-portraits. Earlier this year Untitled #96, a self-portrait of Sherman’s from 1981 fetched a record breaking $3.89 million dollars at auction, the highest price ever paid for a single photograph. Fortunately, lovers of Sherman’s art will be able to pick up Mac products for a slightly more reasonable price. In the limited edition collection which is to be released late September, Sherman has created three different faces and colour palettes, transforming herself from Hitchcock heroine, to a morose clown to plastic surgery junkie. Whatever your motivation for wearing make-up whether it is to stand out from the crowd, to blend in or to transform yourself into someone different, there is sure to be something in the collection which suits you. 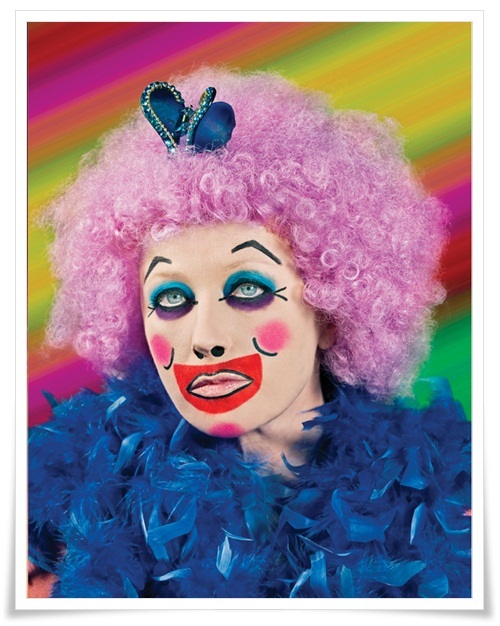 The Cindy Sherman for Mac collection is released on the 29th September 2011. Keep an eye on the Mac website for updates. Bourjois take two on a cult classic How far would you go for the perfect tan?